Riyadh– The US Treasury Department officially announced on Thursday its decision to lift a ban on the Yemeni government’s financial accounts, following the success of the Yemeni Central Bank in launching the international Swift system. 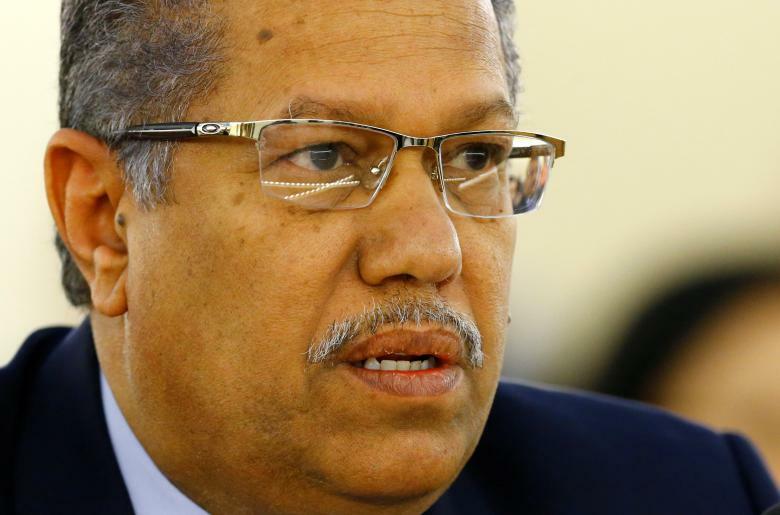 Other countries are also expected to lift the ban on the accounts of Yemen’s legitimate government, according to Ghamdan al-Sharif, the press secretary of the Yemeni prime minister. Sharif told Asharq Al-Awsat newspaper that when the Houthis and supporters of former President Ali Abdullah Saleh took control over state institutions and stole the financial reserves, the Yemeni government asked international banks to stop dealing with the central bank in Sana’a and wait until a Swift system is established in the central bank in Aden. He added that Prime Minister Ahmed Obaid bin Daghr launched on Thursday the Swift system at the Central Bank of Yemen (CBY) in Aden following an inspection of the bank’s facilities and the mechanisms of operation. Sharif also said that the new measures would promote the country’s economy and increase commercial exchange between Yemen and other countries, which had stopped due to difficulties in performing financial transactions. The prime minister announced that his government has received an official notice from the US Treasury on lifting the ban on its accounts. During a meeting with the central bank governor on Thursday, Bin Daghr said Yemen would seek the lifting of the ban on its accounts in other countries, stressing the “courageous decision” of President Abdrabbuh Mansour Hadi to transfer the central bank to Aden.